..I probably would. I mean, what's down there? 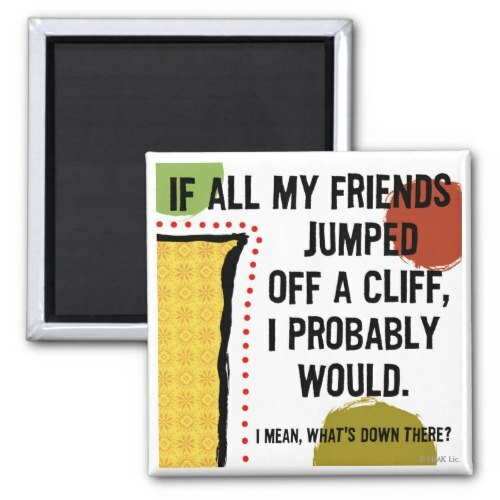 A funny, hilarious square magnet for your fridge, file cabinet, dishwasher or your favorite metal surface. A funny twist to an age old dialogue used by parents and well wishers. Great for showing your lighter side, your sense of humor. Makes a fun gift for friends, family, and you. Helps to have some humor around oneself, to brighten up the day.